Find the best and most trustworthy places to play online poker. Play from any platform or device. Clear the first time deposit bonus in a breeze. Many deposit options & hassle free withdrawals. One of the world’s must trusted brands for gambling. 100% up to $600 bonus on first deposit using any deposit method. No bonus code required to activate the bonus. Receive 20% of your rake back when clearing the bonus. Play Poker at the #1 Global Online Poker Room! 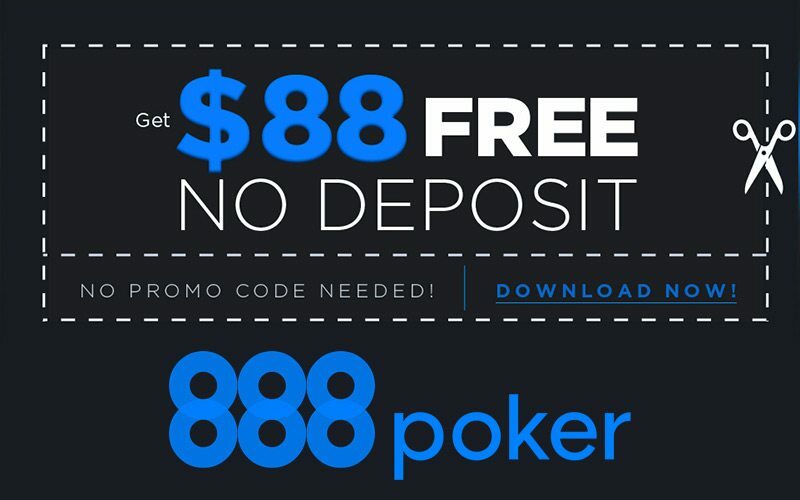 Visit 888 and receive a 100% up to $600 bonus on your first deposit! Bonus: 100% up to $600. The largest online poker room and for good reason. PokerStars offers new players $600 free, but the perks don’t stop there. Many ongoing promotions and VIP levels will keep earning you more. 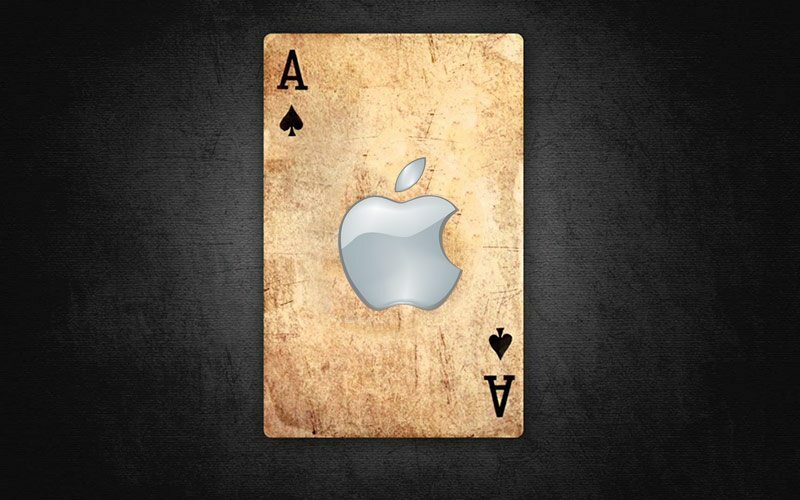 One of the world’s most well known brands, bet365 can be your home for online poker. Their software is among the best, and although not the largest site, they have games for all levels. Ladbrokes is a name that dates back to the 1800s. Their brand is synonymous with trustworthy. You can not go wrong starting your poker adventure with them. We’ve done all the hard work for you – gone through hundreds of online poker websites and only show you the best of the best! Get the scoop on all of our poker rooms we’ve personally handpicked and reviewed for you. Our online poker articles are a great resource for all things poker: deposit options, bonuses, software features, and more! Looking for something extra with your deposit? We only partner with poker rooms that offer the best bonuses. See all of our offers! Bonus or coupon codes can unlock even more bonuses on top of standard offers. See all of our codes, ranked from best to worst! Online poker software is a big deal. Playing at a bad room can cost you big time. That’s why we’ve ranked all the top online poker downloads for you! With over 10 years experience, we know the good from the bad. We’ve reviewed virtually every poker room and only promote the best! In order to win at poker, you need to learn how to play properly. Browse our timeless poker strategy articles to become a winning player! If you want to play online poker, but aren’t ready to deposit, then these bonuses are for you! Receive free money, no deposits required! Are you a big time grinder? VIP Programs can earn you even more. Browse our offers to see all players can unlock special offers and bonuses. How can I play Online Poker? Playing online poker is simple! Simply go to our online poker rooms page and click on a link of a website that corresponds to your preferences and geographical location. Not all online poker sites are available in all jurisdictions. Therefore, you will need to make sure beforehand that you are in a geographical location in which online poker is offered for any particular site. Once you have visited the online poker site, download its software and create an account by entering basic information such as your full name, address, email, etc. How do I Make a Real Money Deposit? In order to play online poker for real money, you will need to Make A Deposit or play in freeroll tournaments. Each poker site has a published list of deposit methods that generally include a variation of major debit/credit cards, established virtual wallets, Western Union transfer, PayPal, and prepaid cards. When accessing your account on a poker site, consult its list of available deposit options for players in your region. Please note that it may be necessary to “verify” your account before making a real money deposit. How do I withdraw my funds from an Online Poker site? 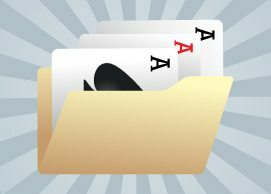 Each online poker site has its own Terms & Conditions that outline how cashouts are processed along with any time-based, activity-based, or profit-based restrictions on such transactions. Before withdrawing funds from an online poker site, be sure to verify the amount of time it generally takes for funds to arrive for your specific cashout method and region. Can I Play Online Poker for Real Money Without Making A Deposit? Yes. You can do this by playing in freeroll tournaments, and using the funds gained from those events to enter real money buy-in events. Although this is a very modest way to build a bankroll, it is a method employed by a large number of beginning online poker players who do not wish to risk their own funds to start out. Please be aware that in order to cashout, it will usually be necessary to make some form of real money deposit onto the poker site in order to “verify” your account. There are also some special online poker offers that award bonuses without making a deposit. 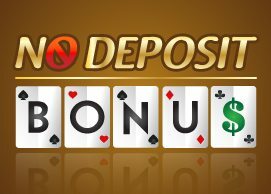 Make sure to see all of our no deposit bonus poker offers. How Can I Find Out More Information on a Particular Online Poker Site? Your best resource for finding out more information on an online poker site is to visit our poker room reviews page here at FlopTurnRiver. Here you will find a list of online poker rooms by jurisdiction and can consult the information to judge which site you would like to play on. 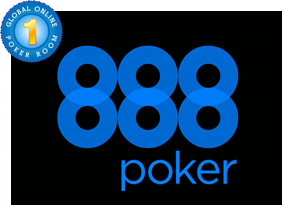 How do I Become Eligible for Online Poker Bonuses? The best way to find information about online poker bonuses is to visit our poker bonuses & new deposit bonuses page. Here you will find a large list of resources for bonuses offered by different sites and can cross-check which services are available in your region. Keep in mind that each online poker site has its own terms & conditions when it comes to clearing an online poker bonus. What Types of Player Loyalty (VIP) Programs Are Available at Online Poker Sites? This varies from site to site. Most online poker sites have some form of rewarding player loyalty with a variety of incentives that range from rakeback to entry into exclusive freeroll tournaments. It is a good idea to read up on any Player Loyalty (VIP) program offered by any online poker site you are playing on. You can also view this information by visiting our VIP Programs section on FTR. Is Online Poker Legal in my Geographical Region? This varies by country, state or municipality. While online poker is specifically legalized or deemed illegal in some jurisdictions, there are other regions in which the legality of online poker is highly debated. For example, in the United States, online poker is currently considered legal in the states of Nevada, New Jersey and Delaware when it is played on “licensed” online poker sites. Please check with your local or federal government if you are concerned about the legality of online poker in your geographical region. Is Online Poker Safe? Is My Money Secure? Major online poker sites (those with a large amount of traffic) have a generally positive track record when it comes to processing customer cashouts and ensuring that player funds are safe. With that said, there have been a number of situations in the past in which players have had to wait a significant amount of time before receiving their online poker funds or still have funds pending on a particular site. To view any player dissatisfaction with cashout processing or the safety of online poker site funds, it is a good idea to consult our Poker Forums to gauge recent and archived complaints. The vast majority of online poker site transactions, including cashouts, on major sites are performed seamlessly on a daily basis. Generally speaking, the more traffic and positive forum feedback an online poker site has, the safer your funds are. The business model of online poker sites is to charge “rake” to every player by taking a percentage of each cash game pot or tournament entry fee. For this reason, an online poker site has no reason to favor one player over another. Players compete against other human beings using their skill. Online poker sites also incorporate the use of Random Number Generator (RNG) technology to ensure a fair deal in each hand. To find out more about how a specific poker site ensures its poker hands are random, consult the terms & conditions of that site. Are there any questions you have that are not answered here? Feel free to contact us with any questions, concerns, or suggestions. Welcome to Online Poker on FTR! FlopTurnRiver.com has been offering site reviews, poker strategy tips, and a vibrant online community for poker players since 2003. Our knowledge and expertise in all things related to poker has come through hard-won experience. In fact, our site was started when our founder got serious about learning the game and decided to put together a website to help others on their poker journeys. If you’re new to online poker, keep reading this guide to learn everything you need to know to get started in this exciting – and potentially profitable – pastime. Ever since online poker first debuted in the late ’90s, the industry has grown by leaps and bounds, both in terms of the number of active players and the variety of games offered. Today there are plenty of sites to play at and enough different types of poker games available to satisfy even the most demanding or particular tastes. It’s easy to begin playing poker online: All you have to do is download the software client, create an account, make a deposit and take a seat at the table of your choice. At some sites, you don’t even need to download anything – you can play right in your web browser! If you’re always on your phone, tablet or other mobile device while traveling around, you may want to check out the growing number of sites that offer dedicated mobile apps. You’ll be able to play poker while at the beach, on a train, during your lunch break at work or whenever and wherever else is convenient for you. Playing poker at a physical casino is often an intimidating experience for newcomers. The live poker scene is filled with long-time players, some of whom take the role of “table coach”: a person who enjoys humiliating other players by explaining the errors they’ve made. There are other players who don’t take losing well and loudly complain and berate their opponents whenever they take a bad beat. Even if you’re willing to brave the sometimes-abrasive personalities of the other players, you’re not guaranteed to find a seat at a game you like, especially at smaller casinos. Certain stakes and games only run occasionally or at times that you might find inconvenient. On the other hand, a game may prove so popular that there are no seats available, and you may have to wait an hour or more to get a spot at a good table. None of these problems apply to online play. No matter how aggressive and unfriendly someone tries to be online, their only recourse is to type mean comments in the chatbox, which you can ignore. You can even block player chat altogether at most poker sites, letting you focus on what matters: the cards and the betting actions at the table. At the same time, there are usually many dozens or hundreds of tables running at the most popular online poker sites. This means that it’s a breeze to join the games you want to play without waiting around indefinitely. The games also move faster – with no physical deck to shuffle and almost no possibility of dealer error – so you’ll be able to play more hands within a given amount of time. This advantage in speed is multiplied if you choose to play many tables at once, a feat that is impossible in brick-and-mortar games. There are several ways that online poker is cheaper than live poker. The rake taken by the house is typically no more than 5% of the pot in contrast to live poker, where 10% or even more is not uncommon. You also won’t have to worry about tipping the dealer online, which seems like a small expense, but it quickly adds up over the course of an evening. What’s more, you won’t have to spend money on gas to go to the casino or pay for parking. If you get hungry while playing, you can just grab something from your refrigerator rather than seeking out overpriced and unhealthy food prepared by the casino. You can buy-in to online poker tables for relatively trivial amounts of money if you’re a beginner who’s on a limited bankroll. Cash games at many online sites start at $.01/$.02 blinds, and you can get a 100 big blind stack for just $2! Compare this to traditional casinos, where the cash games typically start at $1/$2 and sometimes at $2/$5. If you’d rather play tournaments, you can often find tournaments that cost $1 or even less to enter as opposed to the $30 – $100 that represents the typical smallest-stakes B&M tournament. Your entire buyin, whether for cash games or tournaments, can be smaller online than the dealer’s tip for a single game would be live. Thus the price of your education while learning how to play is much less online than live. Despite the many advantages of playing online, there are a couple of drawbacks. You won’t be able to get all your winnings immediately and blow them on some ill-conceived celebration. Instead, it will take anywhere from a couple of hours to a couple of months to receive your winnings in a form that you can spend them. You’ll almost certainly receive your funds eventually if you deal with reputable operators, so this isn’t really a big deal if you have the patience to wait. Another disadvantage is the flip-side of one of the advantages listed above. While you’ll be spared from having to interact personally with the worst characters at the tables, you’ll also not be able to fully enjoy the camaraderie and friendliness of courteous, well-intention players. All isn’t lost, however. You can still interact, albeit in text form, with others by using the chat facility that’s incorporated into virtually every online poker client software. There are dozens, perhaps hundreds, of online poker sites available to you. Here at FTR, we don’t want you to have to take chances with unknown or shady operators. By reading our comprehensive reviews, you can get a good idea of the strengths and weaknesses of the top online poker sites before making a single deposit. All the poker sites on our list have been selected for being reliable and honest, but there are still big differences in terms of games available, promotions, player traffic and software. Don’t waste time trying out different sites at random. We’ve already taken a look at most of them and have compiled the information in our poker room reviews section. There are many countries around the world whose residents enjoy playing online poker. Even in the United States, it’s perfectly legal for individuals to unwind at the virtual poker games across various states. Some states (currently NJ, NV, DE) have specifically authorized online poker and set up regulatory authorities. Despite a few high-profile scandals years ago, the overwhelming majority of online poker sites operate honestly and above-board. The last major scandal to plague online poker occurred in 2011 when Full Tilt Poker was unable to pay its players. Even this unfortunate incident eventually turned out all right after a couple of years as the Garden City Group paid out for the claims made by affected Full Tilt players. By fully researching the history and reputation of any online poker site where you’re thinking of playing, you can reduce the chances of losing your money through poor business practices or underhanded shenanigans. The random number generators at most of the leading online poker sites have been audited and deemed to be fair by outside testing groups. Moreover, many of these sites are regulated by authorities that take steps to make sure the games are honestly run. Because poker sites generate their revenues primarily through taking a percentage of each pot and tournament entry, there’s little incentive for them to rig the games to benefit any specific player. They’ll get their piece of the action no matter who wins. Online poker forums are filled with vague and unsubstantiated tales of unfair dealing and rigged random number generation. In most cases, the proponents of these “theories” concoct elaborate and scarcely comprehensible stories about how the shuffle is artificially altered and games are skewed to favor particular players or the house. Most savvy forumites recognize these reports for what they are: The disjointed ramblings of those who have lost due to their own lack of skill rather than some kind of fixed deal. There are a plethora of options for depositing and withdrawing available to players around the world. Ewallets like Skrill and Neteller make the process of moving money around easy and mostly fee-free. Other options include credit cards, checks, bank wires and ACH transactions, some of which are country specific. Deposit and cashout minimums are different for each poker site, but they are usually $30 or less. Most withdrawals take anywhere from a few hours to a week. Always investigate the “Cashier” or “Banking” web pages for your poker site to get more specific information on how to deposit and withdraw funds. At a few sites, you can get a certain number of withdrawals for free but then have to pay for additional withdrawals. There are usually higher minimum withdrawal amounts at US-facing poker sites than at sites that serve the non-American market. By looking at the websites of the places where you play, you can inform yourself of these details and decide upon the best ways to request your withdrawal to reduce fees and minimize waiting time. If you’re contemplating making a deposit to play online poker, it’s important that you use any bonus codes that are available. Take a look at the section below entitled “Online Poker Bonuses” to learn how to take advantage of the free money that sites are willing to give you to play. No-Limit Texas Hold’em (NLHE) – This is currently the most popular type of poker, both live and online, by a significant margin. Limit Texas Hold’em (LHE) – The most popular poker game a couple of decades ago, it is still somewhat common online. Pot Limit Omaha (PLO) – This action-filled game has been predicted to overtake NL Hold’em in popularity several times over the years, but it hasn’t happened yet. Limit Omaha Eight or Better (LO8)– This is a split-pot version of Omaha, in which the high hand and low hand divide the pot at showdown. Seven Card Stud (7CS) – An old mainstay, especially on the East Coast of the United States, it has been surpassed in popularity by other games in recent years. Five Card Draw (5CD) – This was probably your grandfather’s poker game. It’s still played at a few online sites, but games are pretty sparse compared to the newer and/or more exciting forms of poker. Rather than only playing a specific type of poker at a certain stake level, there’s an immense number of choices. While there are plenty of No Limit Hold’em tables, there are also a lot of games running in Limit Hold’em, Pot Limit Omaha and other poker variants. That said, No Limit Texas Hold’em is by far the most popular variant, and micro-stakes games are more prevalent than games at higher levels. If you play other games besides No Limit Hold’em, you may find game selection more difficult especially if you play for mid- or high-stakes. At some sites, your favorite type of poker may run only seldom or might not be available at all. Besides the specific poker game being played, there are choices for what format of game you’d like to partake in. Online poker games are loosely divided into three types of formats, outlined below. A cash game features a stated blind level, such as $.05/$.10 or $1/$2, and certain minimum and maximum buyin amounts. For a big-bet game with $.05/$.10 blinds, the minimum buyin might be $4 while the maximum is typically $10. Assuming the table is a NL Hold’em game, this type of table is called “10 NL.” If it were instead Pot Limit Omaha, one would call it “10 PLO.” Even if you buy in for an amount other than $10, the game is still called “10 NL” or “10 PLO”; you use a value equal to 100 big blinds when referring to the type of game played. In some special deepstacked tables, you can buy-in for up to 250 big blinds while at other short-stacked tables, the table maximum might be less than 100 big blinds. These variants are still called by a name equivalent to whatever dollar amount corresponds to 100 big blinds. For Limit games – that is, games in which the amount you’re allowed to bet is fixed by the rules – the naming convention differs. A $1/$2 Limit Hold’em game does NOT have blinds equal to $1 and $2. Instead, the big blind is equal to $1. 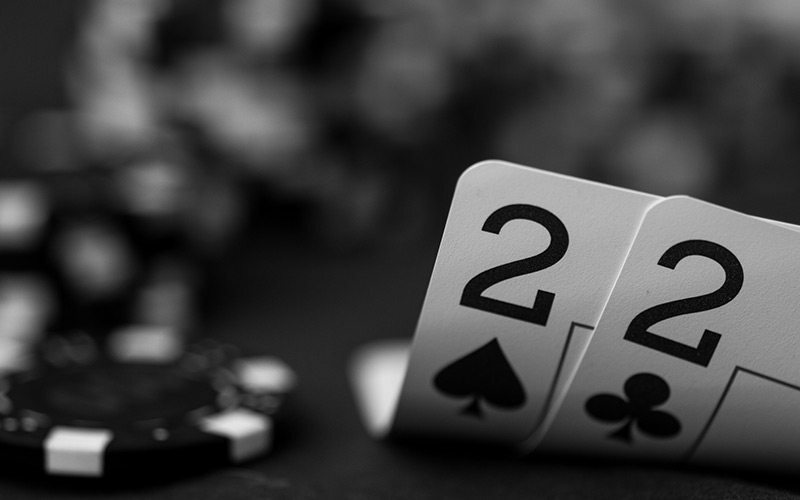 The “$2” comes from the fact that on the later betting rounds, the bet size is doubled and is equal to 2 big blinds or $2. When speaking of this type of game, you would call it “1/2 Limit Hold’em” or “1/2 LHE.” The buyin minimums are usually very small for limit games, perhaps 10 or 15 big blinds. There is usually no maximum buyin because the betsizes are fixed and don’t depend upon the size of your stack unless your stack is quite short. Cash games usually have 2, 6 or 9 seats available, but there are a few non-standard table sizes, such as 4 or 10 seats. If the table is full, you can join a waitlist to be notified when a seat opens up or you can simply sit at an empty table and wait for someone else to join you. Unlike Sit ‘N Gos or MTTs (described below), a cash game doesn’t really begin or end based on what happens during the game. The table can be said to begin when at least two players are seated and playing, and it ends whenever all players but one sit out or leave the table. Sometimes a single game runs continuously, with different players joining and leaving, for days or weeks straight. The way the house makes money in a cash game is by taking a certain percentage of the pot on each hand. This house take is called the “rake.” The online rake is usually 5% or sometimes less, and there is a maximum amount of rake taken per hand that varies depending on the stakes. Typical rake caps are $1, $2 and $3. If you’re looking to improve your cash game play, check out our cash games poker strategy articles. Sit ‘N Gos, also called “SNGs,” begin whenever a predetermined number of players join the event by selecting the game in the lobby and clicking “Register” or “Enter.” Popular table sizes for SNGs are 2, 6 and 9 players. Some SNGs are called “Multi-table SNGs,” and they feature a larger field of 18, 45 or even more players. The buyin is stated in advance in the SNG lobby, so you’ll know exactly how much you’ll have to pay to play. Once the requisite number of players have joined, the game begins and doesn’t end until only one player remains. 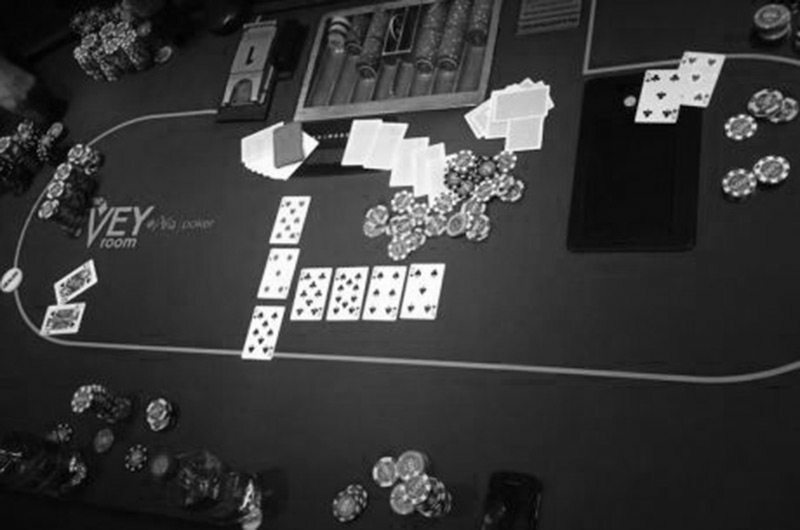 Players are eliminated when they run out of chips and are awarded prizes based upon their finishing position in the game. In a 6 player tournament, the top 2 finishers typically receive prizes whereas in a 9-max game, 3 people usually win something. A SNG begins at a blind level sufficient for the players to have 67, 75, 100 or even more big blinds in their stacks. But every so often, the blinds increase. This drives the action and tends to cause players to be eliminated quickly. By the time there are only 3 or 4 competitors remaining, it is not uncommon for everyone to have been reduced to fewer than 20 big blinds. The details of the starting stack sizes and blind level increases are usually available by clicking on a link in the SNG lobby. The house charges a specific amount, called the fee, on every SNG entry. For example, in a $3 + $.30 9-player tournament, it costs $3.30 to enter. $3 of every entry goes into the prize pool, so the 9 players will be competing for prizes of $3 * 9 = $27. The $.30 is the house fee – for this event, the house will collect $.30 * 9 = $2.70. The fees on SNGs are usually around 10% of the buyin in micro-stakes play, but are often lower for heads-up and higher-stakes play. For more information and to learn how to improve your game, visit our SNG poker strategy articles. If you watch televised live poker events, like the World Series of Poker, you’re probably familiar with the Multi-Table Tournament format. Unlike SNGs, Multi-Table Tournaments (MTTs) start at a set, predetermined time. The number of entrants is variable; it depends on how many people want to play the tournament. It’s not unheard of for thousands or even tens of thousands to enter the most popular online tournaments. The game is over when only one lucky winner remains. Online MTTs usually pay anywhere from 10 to 20 percent of the field, with the payouts determined by the order of elimination. The exact payout arrangements differ at each poker site and even among different tournament formats at the same site. They also vary depending on the number of entrants. Due to the large number of competitors, the victor typically receives a nice payday, which in some cases is greater than 100 times the amount paid to enter. The blind levels start out small in an MTT, but eventually reach stratospheric heights. At the final table of a large-field tournament, the big blind might be a million chips or more. The schedule of blind levels and increases is usually published in the MTT lobby and can be perused by the participants both before the event begins and while it is running. Much like with SNGs, the operator of an MTT collects a portion of each entry. In a $10 + $1 tourney, $10 from each entry goes into the prize pool while $1 goes to the house. If 525 people enter such a tourney, the total prize pool would be 525 * $10 = $5,250, and the poker site would collect 525 * $1 = $525. In the largest online poker tournaments, players sometimes compete for prize pools in excess of $1 million! If you want to make more final tables, give our MTT poker strategy articles a read! While most of the games spread online conform roughly to the three formats described above, there are many types of offerings that introduce slight wrinkles to the rules. 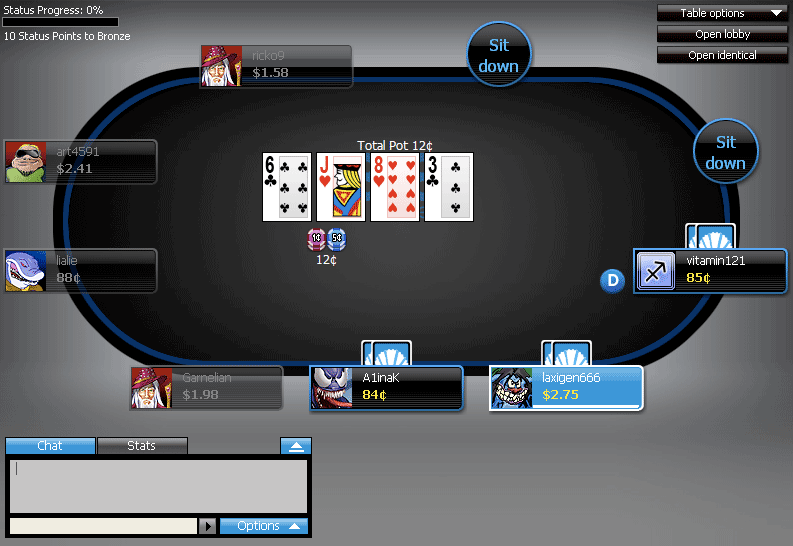 Cash games sometimes feature quick-fold gameplay, allowing players to fold their hands and be instantly transported to another table to begin another hand. Hyper-Turbo SNGs feature short stacks and rapidly rising blinds that promise fast-paced, action-filled gameplay. Double or Nothing SNGs pay half the entrants, but every winner receives exactly the same prize. Bounty tournaments pay not only based upon your finishing position in the field, but also for every player you personally knock out of the tournament. Satellite events award seats into larger tournaments, sometimes even prestigious live events, to the winners. At most online poker websites, you can find complete descriptions of these and other formats. The offerings at any given site will differ somewhat from those at competing sites. When choosing what formats to offer, companies look at the popularity of a given game and how it will affect traffic at their other products. Always be certain to read the rules of any format before you enter so that you aren’t caught by surprise. Play-money games: You’ll be able to get used to the interface and games by using play chips before you begin to play for real money. High-quality graphics: Most of the graphics at today’s poker rooms are bright and clear without being flashy and obtrusive. There are usually many user-configurable options available to make the tables look the way you want them to. Sound: Poker sites often play sounds to alert you to important events, such as it being your turn to act or your winning the pot. Ideally you should be able to adjust the volume on these sounds or even mute them altogether if you find them distracting. Multitabling: Serious players usually want to play more than one table of online poker at a time. Most of the popular sites cater to this preference, permitting players to sit at 12, 24 or even more tables simultaneously. Quick Seat: An increasingly common option at poker sites is quick seat functionality. This will allow you to speedily jump into a game of your choice without manually choosing a table and seat. Synchronized Breaks: A godsend for multi-table tournament players. With synchronized breaks, all tournaments have a break, almost always of five minute’s duration, a certain number of minutes past the hour (at :55 is the most common). This means that a player can register for multiple overlapping events starting at different times without worrying about never having a break. While most poker rooms support this feature, there are a few prominent ones that don’t. For more details, we’ve ranked the best online poker software, where you can see the best of the best. Unlike casino games, wherein you are largely at the mercy of the dice, cards or whatever other mechanism a particular game uses, your long-term results in poker will depend mostly on skill. Since it’s not just a luck-based game, you can better your poker play through study and hard work. Online poker forums are great places to compare notes and get feedback on hands you’ve played. With a wide range of participants from complete novices to pro players, you’ll be able to find help no matter what level you’re currently at in your poker progress. If you’d like to benefit from the structured thoughts of an experienced player, then strategy articles or videos may be more your speed than a free-wheeling forum discussion. If you want to increase your poker skills, then FlopTurnRiver is a great place to get started. Our forums have more than 1,000,000 posts, and we also offer strategy articles and short videos about common situations at the tables. Even if you only gain a couple of helpful tips that you weren’t aware of before, your time at FTR will be well spent as you’ll be able to apply what you’ve learned over and over again throughout your time at the tables. Visit our forum and create a free account now! The savviest poker players know that accurate information is critical to their success. With the use of online poker tracking software, you can keep track of your opponents’ tendencies so that you can exploit them later on. In addition, you’ll be able to maintain detailed records of your play so that you can analyze it later on. The way that this type of software works is that it reads in a complete record of every hand you play and stores them in a database. It then compiles various statistics about your play and your opponents’, such as the percentage of hands raised preflop and the frequency with which the player folds his big blind to a button steal. You can access this information in real time while playing to quickly identify leaks in your opponents’ games. While this type of software is unpopular in certain quarters, anyone who aspires to become a great player should certainly take advantage of it whenever it is allowed by the poker site. Not using all the tools available to you puts you behind the curve vis-à-vis your serious, studious opponents. The most popular software packages available for tracking online poker play are Holdem Manager 2 (HM2) and Poker Tracker 4 (PT4). They are both commercial products, but there are free trials offered for both of them. You can therefore try them out and see which one you like the best. If you’re not prepared to pay for one of these programs, then you may wish to examine fpdb, a free and open-source option. An important aspect of poker that’s often ignored by novices is bankroll management (BRM). While most players are caught up in the glamor and excitement of sick river bluffs and fancy 5-bet all-in moves, perhaps the most important decisions a player makes take place away from the tables. Simply put, proper bankroll management is a way to ensure that you don’t go bust before having a reasonable chance to grow your poker balances. By limiting the amount that you buy in for at each table or tournament, you’ll be able to extend your play while preventing a single bad session or an extended streak of bad luck from decimating your account balances. For No Limit Hold’em cash games, it’s recommended that you have 30 or 40 times the buyin for any table you’re thinking of playing. For Limit Hold’em ring games, the metric often used is 300 big-bets in your bankroll for the stakes you’re currently at. PLO cash games feature sick runs of both good and bad luck, and it’s difficult to give good BRM advice for the game. 50 buyins is the typically recommended amount, perhaps a bit less at the lowest stakes and a bit more as you work up to midstakes. Sit ‘N Go players often want 50 or more buyins in their bankrolls to ensure against bad luck. The variance in MTTs is large, and those who partake in them often recommend having at least 100 buyins for the average stakes played. You can also view our bankroll management calculator to get a better idea of what stakes you should be playing based on the size of your bankroll. In order to retain and attract customers, online poker sites offer a plethora of bonuses. If there’s a bonus available to you and you neglect to take advantage of it, you could be needlessly costing yourself hundreds or thousands of dollars. 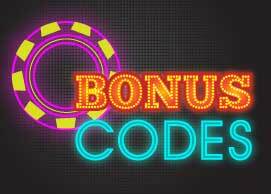 In order to utilize these bonuses, you usually have to enter a specific bonus code into the cashier at your poker site when making a deposit. If there’s more than one bonus available at a given poker room, you’ll have to use your best judgment to decide which one would be most advantageous for you. Fortunately, FTR has compiled a list of bonus codes available for the top online poker companies, so you can read our poker bonus reviews to find out what codes you should use. The most common type of bonus is the first-deposit bonus, also called an “initial deposit bonus” or a “welcome bonus.” These bonuses usually offer a percentage match on the funds you use to make your first deposit, up to a stated maximum amount. If you take advantage of a bonus promising “150% up to $1,500,” then you can get a reward of 150 percent of the amount you deposit, up to a maximum bonus of $1,500. Check out the section below entitled “Bonus Clearing” for details on how to earn your bonus. After your first deposit, you may be eligible for reload bonuses on subsequent deposits. These bonuses are sometimes listed on the websites of poker rooms, but at other times, they’ll be sent to you via email. In some cases, the details of such bonuses vary from player to player. Whenever you’re thinking of topping up your account with some extra money, be sure to take advantage of any reload bonuses that are on offer. Check out the section below entitled “Bonus Clearing” for details on how to earn your bonus. 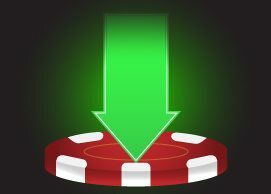 Poker sites will sometimes give you free money to try out their site without the need to risk your own hard-earned money. Since they aren’t really making very much money out of these offers, the no-deposit bonuses are usually for trivial sums, like $10. You should read the rules of free chips very closely before deciding to use one. It may be the case that using a free chip will disqualify you from other, more lucrative bonus offers. Check out the section below entitled “Bonus Clearing” for details on how to earn your bonus. If you’re looking for free money, see all of our current no deposit bonus offers. The online poker sites would go broke if they just handed out free money with no strings attached. You usually have to put in a certain amount of volume at the tables before you can cash out the bonus money. 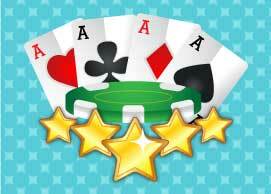 In most cases, bonuses require you to collect a certain number of poker points (or reward points or frequent player points, etc.) before they become cashable. These points are awarded on a schedule that varies from site to site, but high-stakes play will usually clear bonuses more rapidly than play at lower stakes. 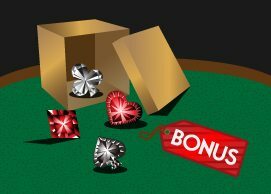 Although there are a few poker sites that will award you a bonus upfront, in most cases you will have to complete the playthrough requirement first before your bonus is awarded. Because of this fact, sites are often willing to pay out your bonus in increments until you’ve fulfilled the wagering requirement. If you fail to complete the wagering in full by the time the bonus expires, you can usually keep whatever portion of the bonus you did earn while forfeiting the remainder of it. If you deposit $500 with this bonus offer, you’ll get a $1,000 bonus. The bonus would not be available to you all at once. It will be released in $10 portions as you earn 150 player points for every $1 in bonus money. Let us suppose that you play diligently for 90 days, and you earn 85,000 player points. According to the 150 points/$1 rule, you’ll have cleared 85,000/150 = $566.67 of the bonus. However, because the bonus only releases in $10 increments, you’ll receive $560, not $566.67. You will forfeit the other $440 of bonus funds remaining from the $1,000 bonus. The $10 pieces of the bonus will have been placed into your account steadily over the 90 day period every time you earned another 1500 player points. In freeroll tournaments, you don’t have to pay a single cent to enter! The poker site instead provides the entire prize pool, so you can play for free yet win real money. Although the value of the prizes paid out is usually pretty small, these special tournaments are great for players who are just starting out and trying to build a bankroll. Freerolls are usually open to everyone with an account at a site, but in some cases, you can qualify for exclusive freerolls by taking specific actions. Poker sites frequently reward new depositors or players who reload their accounts by giving them freeroll tickets. At other times, players who put in a certain amount of play during a given period of time will qualify for a freeroll. These “invitation-only” freerolls are usually very good deals for the individuals who get to participate in them because of the limited field size. You should therefore not overlook any freerolls for which you receive a special invitation. 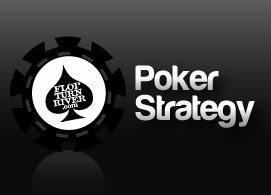 Here at FlopTurnRiver, we have partnered with certain poker sites to offer periodic freerolls to our valued members. Check out the FlopTurnRiver Exclusive Events forum for more information about how you can get in on this freeroll action. If you identify a regularly scheduled tournament that frequently overlays for a nice amount, then it would behoove you to take part as often as possible, assuming that the tournament isn’t too expensive for your bankroll. When battling with the other players, you should take advantage of every edge you can get. The prospect of some extra value for doing nothing special is not something to ignore lightly. Some tournaments come with extra money guaranteed no matter how many players enter. A $5 + $.50 tournament with $500 added means that after the prize pool is calculated by multiplying the $5 buyin by the number of entrants, a further $500 will be awarded to the winners by the poker room. Suppose in our example tournament, only 100 players enter. They will generate a prize pool of $500, but the poker site will add in another $500, doubling the prizes. These lucky grinders are essentially playing a $10 + $1 but only paying half price for it! FTR understands the attraction of these types of money-added events. We therefore offer such tournaments to our valued readers at selected online poker rooms. Take a glance at the FlopTurnRiver Exclusive Events forum to identify potentially money-making opportunities coming up in the near future. 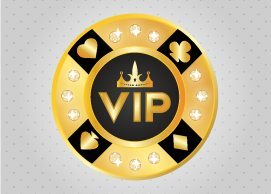 Much as a B&M casino might do with player cards, comps and similar programs, most online sites reward their regular players with a VIP program. The more you play, the more points you accumulate. You can then exchange these points for free cash, tournament entries or merchandise that will be shipped to your mailing address. The details of these reward schemes are unique to each specific poker site, so you should check your site to see what benefits you’re eligible for. Don’t just let your VIP points accumulate without using them; you’d just be squandering the free benefits that the sites are offering you. We’ve ranked and reviewed all the best poker VIP programs you can find online, check them out! The first online poker site, Planet Poker, was established in 1998. Although the software interface and number of players active at any one time were laughable by today’s standards, Planet Poker paved the way for many other operators. Planet Poker, almost immediately, began to attract more and more players every day, demonstrating the feasibility of offering real-money poker games over the then-nascent Internet. Planet’s success inspired a host of competitors. First Paradise Poker overtook Planet as the most popular poker site. Yet Paradise was surpassed in its turn by PartyPoker in 2003. PokerStars, meanwhile, began to grow steadily, helped by the huge publicity generated when one of its players, Chris Moneymaker, won the 2003 World Series of Poker Main Event after qualifying online. This began the “poker boom”: A growing awareness about the game on the part of the general public and a dramatic increase in the number of players who wanted to participate. Pretty soon, PokerStars was the second-largest poker site in the world. When the US Congress passed the UIGEA legislation in 2006, PartyPoker exited the US market, causing its traffic to drop. PokerStars remained active in the United States and became the largest online poker site in the world, a position that it retains to this day. Even the unfortunate events of Black Friday in 2011 could not stop the PokerStars juggernaut. Today it is clearly the most popular real-money online poker site, and none of its competitors even comes close. PokerStars has been a leader in poker software development, and now offers customers a much smoother and more customer-tailored online poker experience than it had when it first started in 2001. From humble and uncertain beginnings, online poker has grown until it is today a mature and profitable industry. Over the years, competition has led to new features being implemented, software performance improving, and new types of games being developed in an attempt to satisfy and retain customers. Now you can choose from dozens of companies offering fast-moving, always-running tables at a wide range of stake levels and in many different disciplines of poker. One online poker room we recommend is Americas Cardroom. Read details of the Americas Cardroom welcome bonus promo code for new players. The PokerStars Caribbean Adventure Begins Today! Slovakian native Dag Palovic has been selected as the newest member of Team PokerStars, according to a recent company blog. Following several highly competitive rounds in the division finals, the final table has been set at the PokerStars World Cup of Poker VII. In what amounted to just over an average American work shift, one lucky player took home as much money as some citizens make in an entire year. After close to eight hours at the tables, David “gaucho2121” Paredes netted an even $25,000 in the fifth event of PokerStars’ first ever USA Championship of Online Poker.